Path of Exile brings a lots of updates such as 3.1.0, for these updates, the correction of a large number of failures and several improvements that game users have requested. Path of Exile's lore is complicated but this new chapter focuses on the war between two powerful beings known as The Shaper and The Elder. Path of Exile: War for the Atlas features 32 new randomized maps and a host of new challenges. At U4GM, we listed the information of these new challenges and tweaks, what's more, you will be able to buy cheap Path of Exile orbs easily. War for the Atlas also adds the Abyss Challenge League where players can earn mysterious items called Abyss Jewels. The expansion adds numerous missions and dungeons so expect dozens of hours of gameplay. What's most impressive is that War for the Atlas introduces 32 maps with a lot of endgame items. 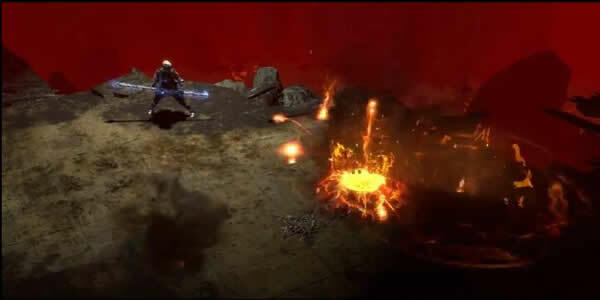 Path of Exile is already a vast experience and this will make it even larger. Path of Exile's big expansion, The Fall of Oriath, is out on August 4, and it's full of monsters, demons, gods, and most importantly, pretend fantasy words. Grinding Gear Games decided to show one of those bosses in a short video, and its name is Arakaali, Spinner of Shadows. As you can presume it's a huge black spider that shoots some sort of dark purple beams at the player. In the War for Atlas, six languages ? ?will be available to you: English, German, Spanish, French, Russian and Brazilian Portuguese. Therefore, if you want to change the language in Path of Exile, then change the language of your prefix in the settings. The section for maps will be available in the first big patch in January 2018. If you haven't played Path of Exile, be sure to check it out on Xbox One and Windows PC, you can also view website more at U4GM.